kind in the sinkhole stabilization industry. In the 5,000-plus projects L.R.E. Ground Services, Inc. has completed for residential and commercial property owners since 1989, we have a zero failure rating. That said, L.R.E.’s transferable limited lifetime sinkhole stabilization warranty gives you that peace of mind by providing our customers the assurance that our word is as reliable as our work. L.R.E.’s sinkhole stabilization warranty covers its labor, materials and workmanship as it relates to its sinkhole stabilization services, specifically Compaction Grouting, also known as Pressure Grouting. 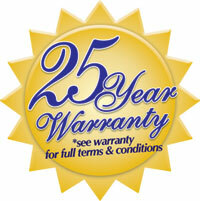 Call or e-mail us to receive a free consultation or estimate, and learn more about our lifetime warranty. L.R.E., as a Supportworks, Inc. dealer, also offers a limited warranty on FSI-supplied products, including its push pier, helical pier, wall anchor, and SmartJack® systems. Under normal use and service, such products will be free from defect in material and workmanship for a period of 25 years. If the Supportworks product is found to be defective, it will be repaired or replaced. Contact Us Today To receive a free consultation or estimate, and learn more about our warranty.